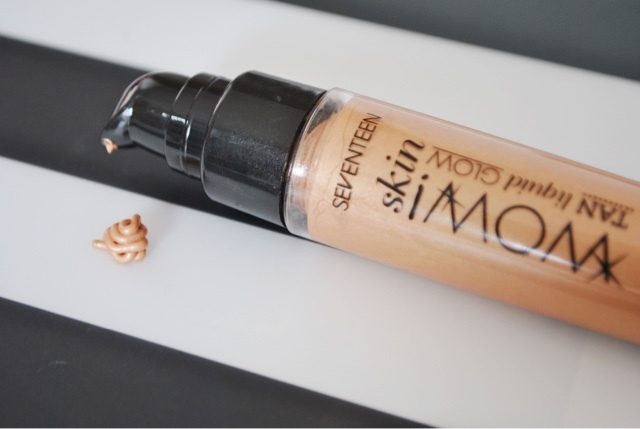 I've been on the lookout for a liquid highlighter that you put on before or after your foundation and just gives you that all round hydrated and dewy look. 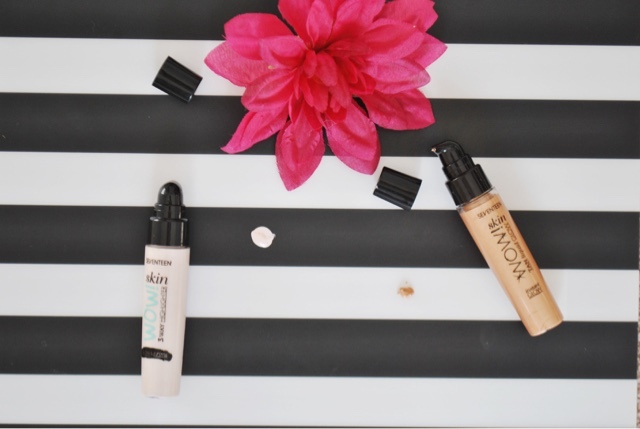 I love the dewy look and for my skin it suits me best. Because I've got dry skin it just helps give me that fresh look. But ones that I've been looking at have either too much glitter in them which ohhhhh noooo. Yeah you get it, it's a big no. Yeah I've found expensive high end versions but if you haven't realised, I LOVE a good bargain. So when I was in boots I stumbled upon these Seventeen beauties. 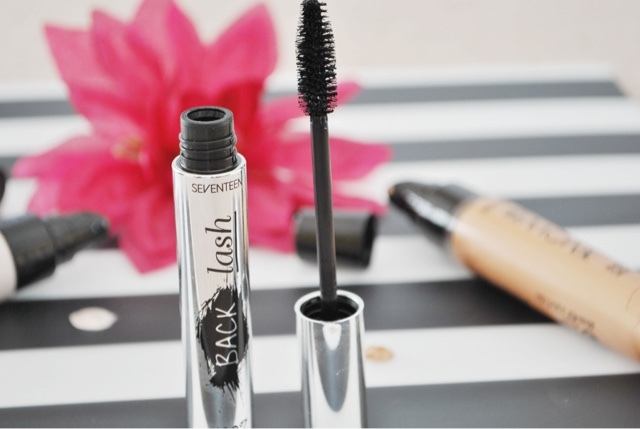 They are £5.99 each and Boots have an offer on, when you buy two Seventeen products you get a free mascara. Can't turn down that can ya. I probably didn't need both but since I've been dying to try something like this out then I grabbed both! Oops! Also I was a bit scared that the tan liquid glow would be too tanned. I only want the tan version because sometimes the normal highlighter isn't a warm enough tone. You can see from the picture of the tester on my hand that it's not too tanned and it's just right! 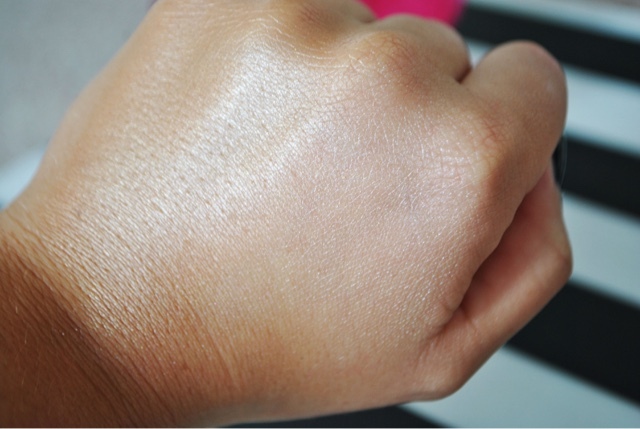 I have the tan liquid glow on the left part on my hand and the other highlighter on the right part of my hand so you can see the difference. Overall I am really pleased I found these! 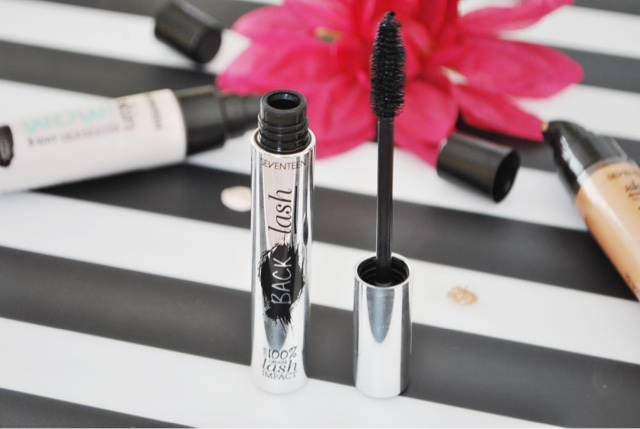 Also the mascara ain't bad either for being free! 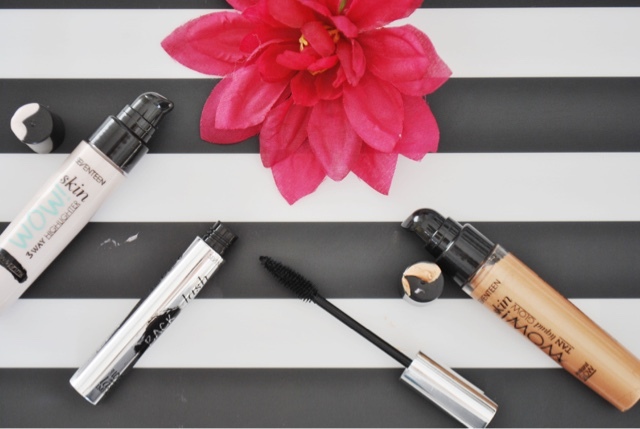 Have you found any other cheap drugstore versions that I should try? Amazing post! Love your blog and use of photography! 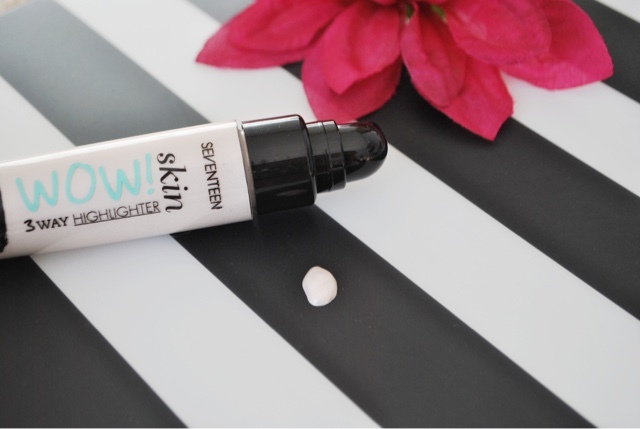 Love the look of this highlighter, the perfect colour!